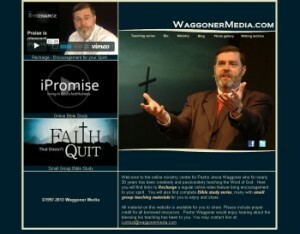 Please visit the Waggoner Media Website. Here you will find more encouragement for your spirit. You will find many complete Bible study series for you to enjoy online. Several of these are configured for small group study as well. You will also find out more about the ministry of Pastor Jesse Waggoner including an archive of articles and publications. Also please take time to visit the website of Mt. Calvary Baptist Church in Charleston, WV. Pastor Waggoner has served as the Pastor of Mt. Calvary since 2011. This church has a rich history and is making an impact in the Kanawha valley of West Virginia and beyond.